Safe on paint, glass, trim, wheels, etc. 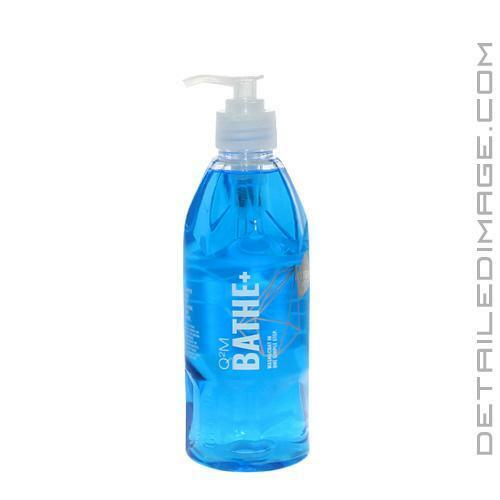 Gyeon Bathe+ is a high quality shampoo, packed with SiO2 coating technology! This combination takes all of the awesome Gyeon Bathe attributes (pH neutral, high lubricity, thorough cleaning power), and adds in SiO2, which is the essence of popular Gyeon coatings. Bathe+ is safe on all surfaces including paint, rims, glass and plastic and it will add instant protection to these surfaces, or boost any protection already applied. Simply wash your car the same way you would with any other auto shampoo, rinse off, and stand back to admire the results. The hydrophobic surface will bead water like crazy and repel future dirt and contamination for a least a few weeks. This not only keeps your vehicle cleaner for longer, but it also helps make future cleanings much easier and less time consuming. Grab a bottle of the Gyeon Bathe+ and protect your car while washing! Tip: Works great when paired with the Gyeon Smoothie wash mitt! Q2M Bathe+ 2WAYS of best USE! Wash & coat in one simple step. Strong and long lasting hydrophobic effect. Easy maintenance due to self-cleaning effect. Pour 15-20ml into a bucket. Washing entire car with Q2M Woolie, Q2M Mitt or Q2M Smoothie in straight motion and starting from top is recommended. Do not wash in direct sun, do not let Bathe+ dry. I follow someone's car build and they recommend this company, so I looked into the products and just trying it once I was blown away. Works amazing the water beads off it's crazy. Definitely buying more when I run out ! 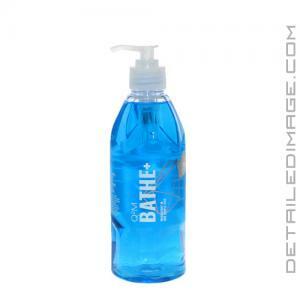 Gyeon Bathe+ works great for maintaining any type of vehicle! Especially like for ceramic coated vehicles or even vehicles that have had Gyeon Wetcoat applied. Much better than your old school wash n wax! Buy the large bottle because your going to love it! Wish I could buy a 4L container!